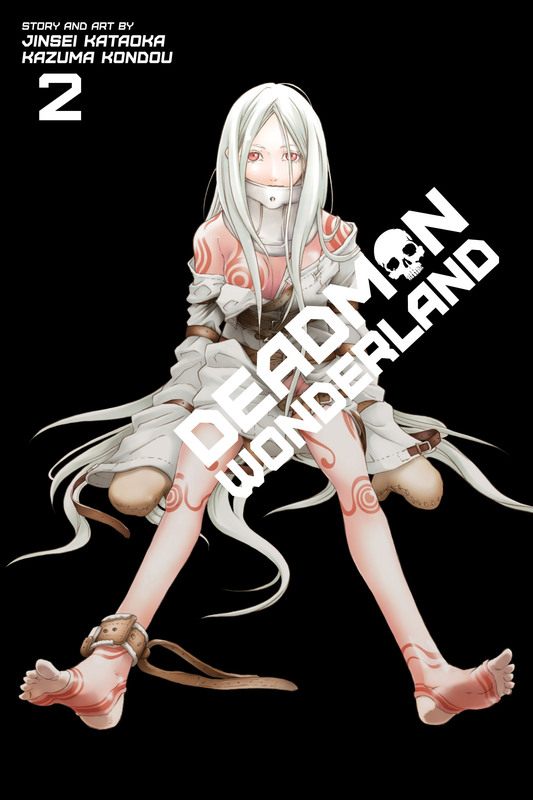 Deadman Wonderland volume 2 was written by Jinsei Kataoka and illustrated by Kazuma Kondou. This volume features the next four chapters (05-08), read the review for the first volume here. After Ganta is framed for the murder of his classmates, he is sentenced to death in the eccentric Themepark/Prison Deadman Wonderland. Ganta is beginning to learn about life inside the hellish penitentiary. He learns that the “Red Man”, the one truly responsible for the murder of his friends and the cause of his situation, is located somewhere inside the prison, in the hidden bowels of the prison, known only as G-ward. Ganta, along with Shiro and Yō, head deep into the prison to confront the Redman and demand answers and vengeance, However, instead they discover a strange me seems to wield the same power as Ganta and bizarrely refers to Ganta as Woodpecker. My Review: The series is really starting to pick up beat, we get to see our first big fight between two Branch of Sin users, which I thought was really cool and also does a pretty decent job of introducing Kiyomasa Senji. Along with this, we are also introduced to this whole separate unit of DW which everyone is completely oblivious too, I really like the concept of the Carnival Corpse punishment game and I can see it being an interesting tool in future volumes. One thing I didn’t really care much for was most of the new characters introduced in G-ward, most of them are pretty throw away and I don’t see myself really remembering many of them in the future. It also seems like some concepts are getting changed or forgotten along the way, It’s not really a big problem but it’s just something I noticed.